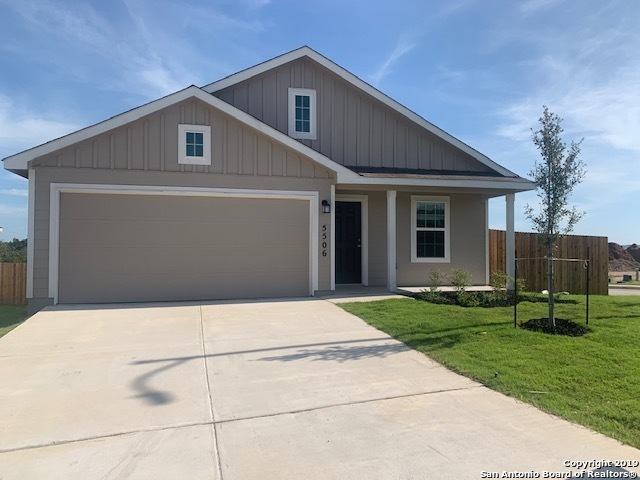 All Hidden Trails homes currently listed for sale in Bulverde as of 04/20/2019 are shown below. You can change the search criteria at any time by pressing the 'Change Search' button below. 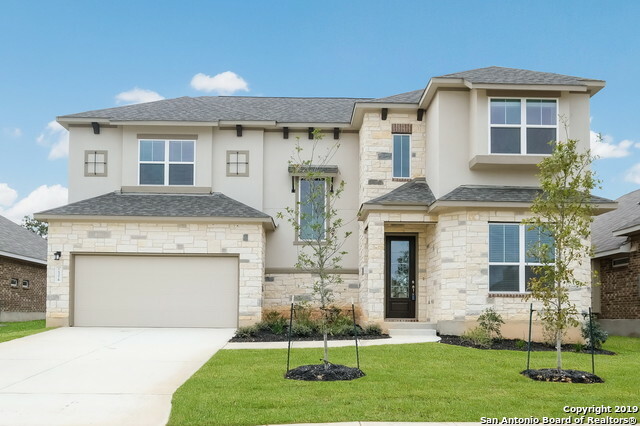 "By Scott Felder Homes in new master planned community, same plan as model home, includes study, open formal dining, kitchen, family room, and luxurious master suite down. 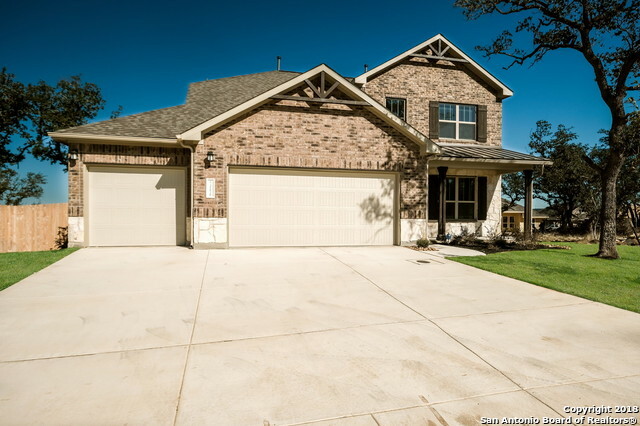 Upstairs features large media room, 3 bedrooms, 2 baths, and gameroom with beautiful hill country views. Built in SS appliance package, home automation, tankless hot water, full landscape are included. Highly acclaimed Comal ISD. Construction home scheduled for completion in April." "Country living at its best! 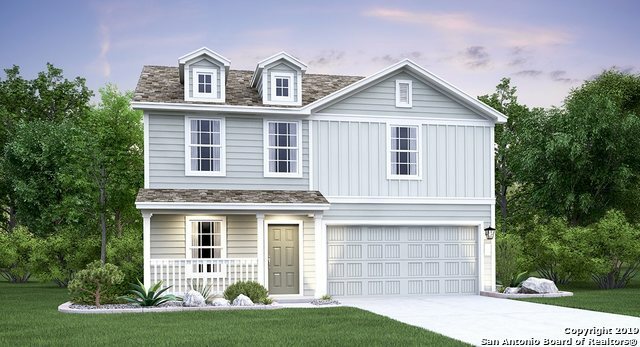 Two-story open plan by Scott Felder Homes on oversized lot in new master planned community. Deluxe master bath, large kitchen, 2 story family room, powder, formal dining and utility down. Gameroom, huge media room, 3 bedrooms and 2 baths up. Tile flooring in downstairs living areas, built in SS appliances, design upgrades, home automation, tankless hot water, upgraded front elevation and full landscape are included. Highly acclaimed Comal ISD. Available March 2019." 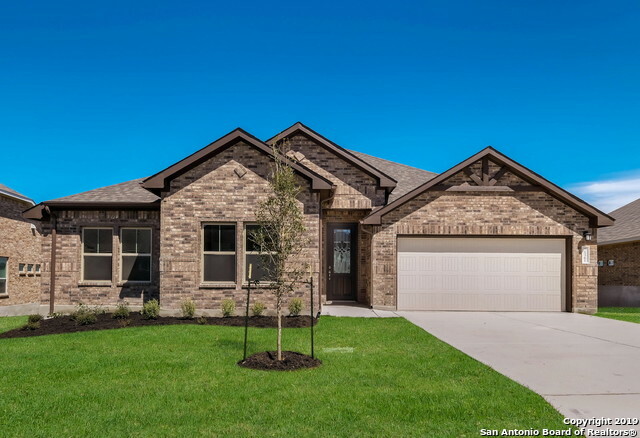 "Save energy $$$'s by purchasing NEW by Scott Felder Homes AND enjoy the great amenities of Hidden Trails, the newest master planned community in Bulverde! Versatile large one story plan, featuring a rotunda entry, four bedrooms with walk in closets, 3.5 bathrooms, sunroom, bay windows at master retreat, tile throughout living areas. Home automation pkg, tankless hot water, full sprinkler/landscape package, full masonry. Available September! Highly acclaimed Comal ISD!" 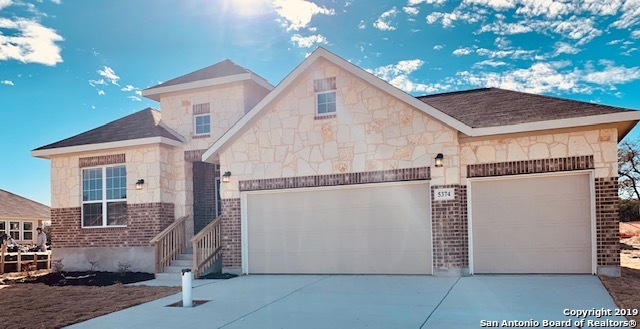 "Save energy $$$'s by purchasing NEW by Scott Felder Homes AND enjoy the great amenities of Hidden Trails, new master planned community in Bulverde! Great new plan features 2 story family room, big kitchen, downstairs master, study and ext covered patio. Tile floors in all downstairs living areas, upgrades throughout. Upstairs features 3 bedrooms, 2 baths, and gameroom. Home automation, tankless hot water, & full landscape included. Available September!" "Popular one-story open plan by Scott Felder Homes in new master planned community includes formal dining and study. Relax while enjoying hill country views from covered patio. 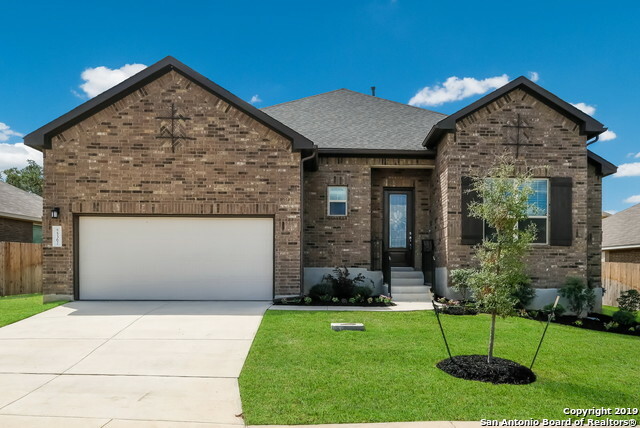 Extra garage storage, architectural ceiling features, deluxe master bath, built in SS appliance package, home automation, tankless hot water, four sides masonry and full landscape are included. Highly acclaimed Comal ISD. Construction home scheduled for completion in March, 2019." 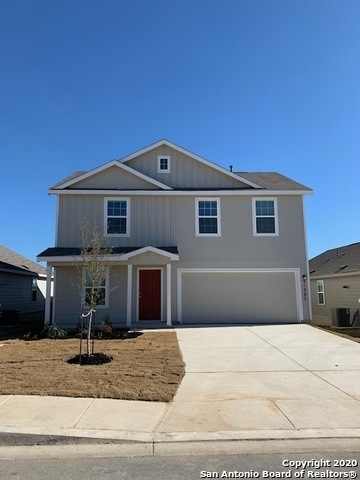 "This New Scott Felder Home with great amenities in Hidden Trails is a GREAT 1 story floor plan with an open concept. Includes 3 bedrooms, 2.5 baths and a study. Enjoy the hill country views from the covered patio. Built in SS appliance pkg, fireplace, carpet, tile, and granite upgrades. Home automation, tankless hot water, full landscape and a 2 car garage. Highly acclaimed Comal ISD. Construction home scheduled for completion in March, 2019." 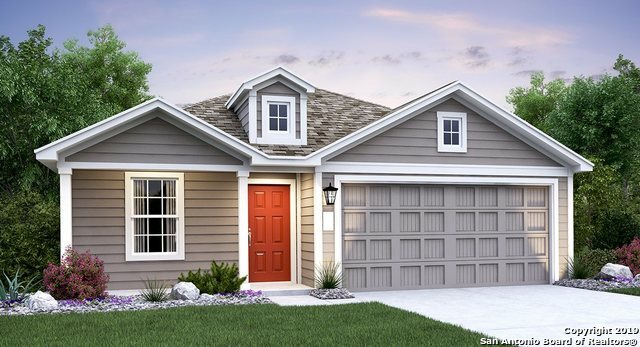 "HIDDEN TRAILS~ LENNAR's one-story Gilson plan. This beautiful home features 4 bedrooms, 3 baths, plus a Retreat to be used as a Dining Room, Study, or Game Room. The kitchen island features an island overlooking the family room. An over-sized covered patio for entertaining or relaxing. READY FOR MOVE IN NOW!" 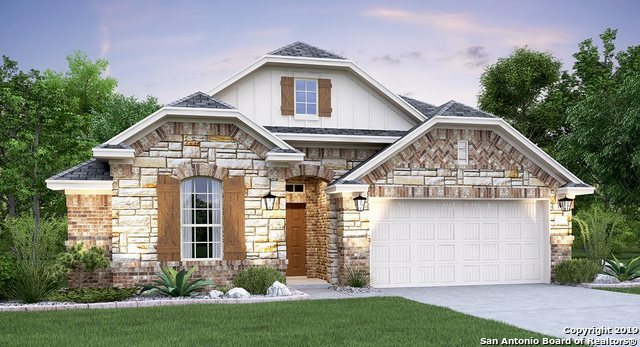 "HIDDEN TRAILS~ LENNAR's one-story Madura plan with a stunning brick and stone combination on the front elevation. 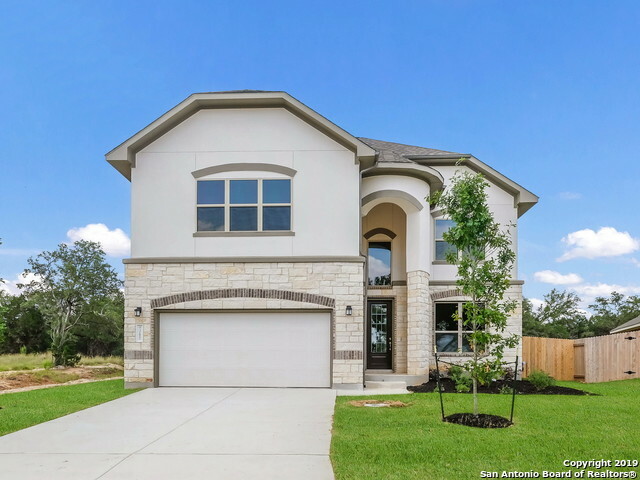 This beautiful home features 4 bedrooms and 3 baths. The kitchen island features an island overlooking the family room. An over-sized covered patio for entertaining or relaxing." 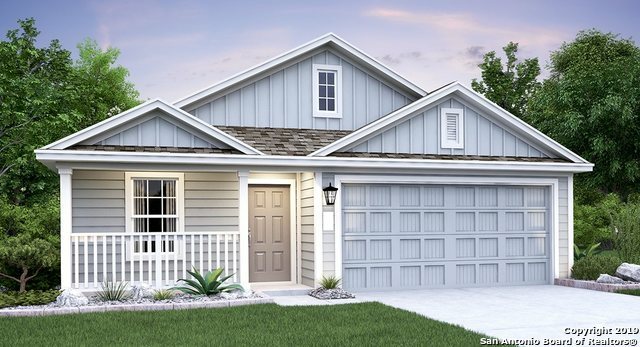 "HIDDEN TRAILS~ LENNAR's one-story Gilson plan. This beautiful home features 4 bedrooms, 3 baths, plus a Retreat to be used as a Dining Room, Study, or Game Room. The kitchen island features an island overlooking the family room. An over-sized covered patio for entertaining or relaxing." 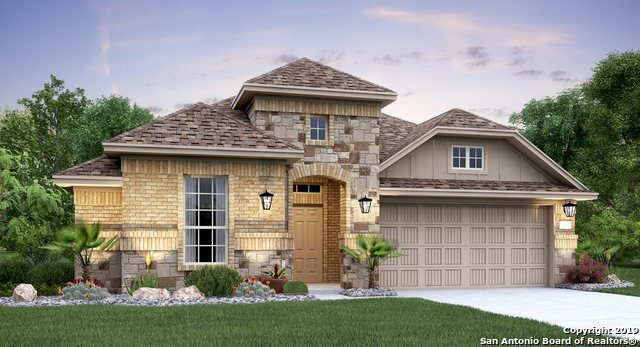 "Brand New Community- **Hidden Trails** The Jasper floor plan. 3 bedrooms, 2 baths with a very open floor plan!! 1992 sq. ft. single story home. Carpet in bedrooms. Tumbled stone backsplash, covered patio, full sod/sprinkler front and back. Blinds installed throughout!! READY FOR MOVE IN FEBRUARY!" 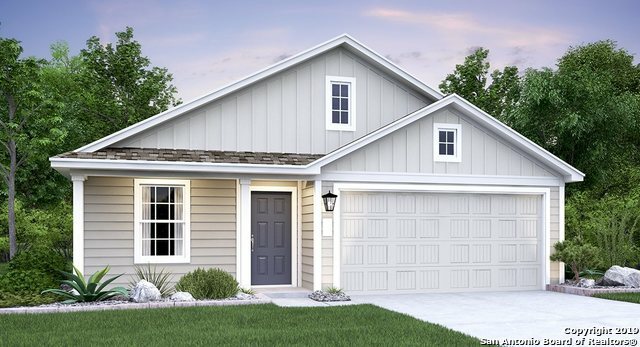 "**Hidden Trails** Two story 2490 sq. ft. 4 bedrooms, 2.5 baths plus a game room. Luxury walk in shower in Master Bath. Included features granite in kitchen, carpet only in bedrooms full sod/sprinklers front/back. Blinds installed. Tankless hot water heater, radiant barrier roof decking, low E windows. READY FOR MOVE IN NOW!" "World Class PARK like community & gorgeous HOME!!! Better than NEW with all the extras you get!!! 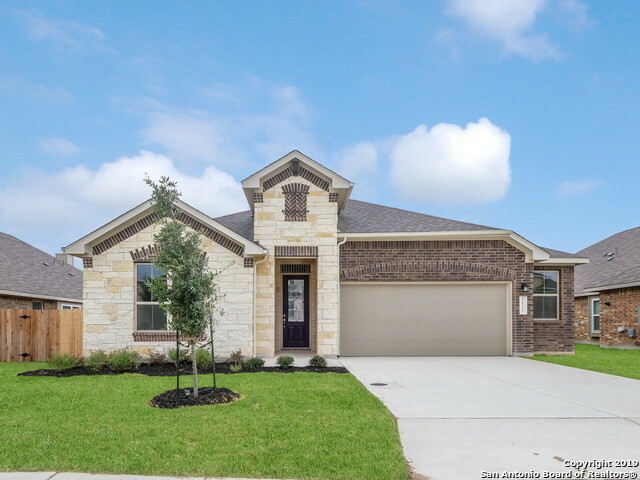 Wonderful floor plan with wide open spaces, luxury vinyl plank floors, island kitchen with granite & tumbled stone backsplash, breakfast bar area, spacious living room, separate laundry room, private master suite with luxury bath & walk-in closet +++! 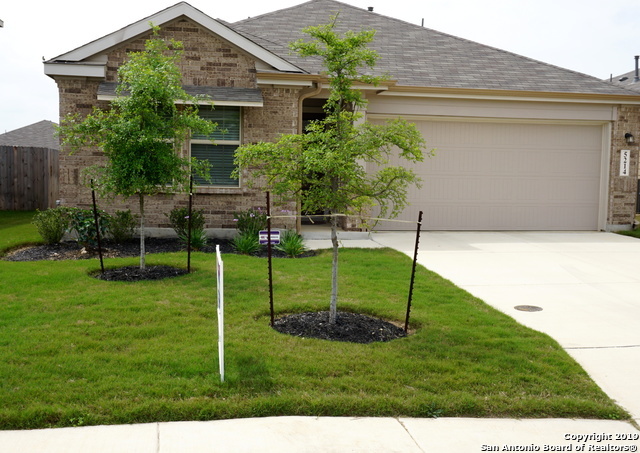 Easy to maintain yard with full sprinkler system! Relaxing screened in covered patio! Washer, dryer, frig & water softener included! Resort style amen"
"LENNAR Selsey Beautiful two story home with 4 bedrooms and 2 bath rooms! Kitchen overlooks family room! READY IN MAY!" "LENNAR Selsey Beautiful two story home with 4 bedrooms and 2 bath rooms! Kitchen overlooks family room! READY IN JUNE!" 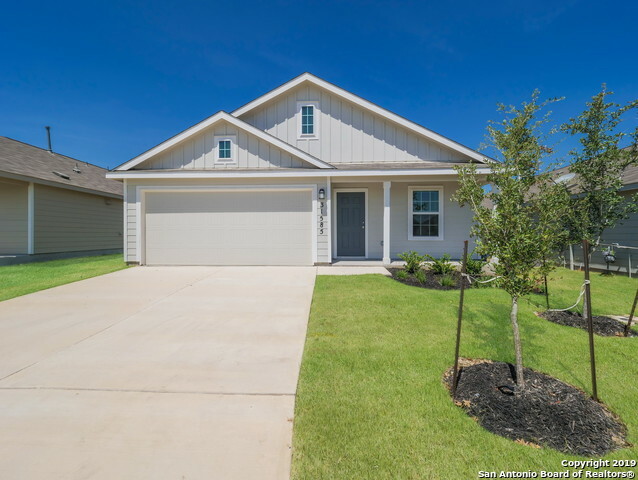 "LENNAR Nettleton Beautiful four bedroom, 2 bath home! Kitchen overlooks family room! READY IN AUGUST!" 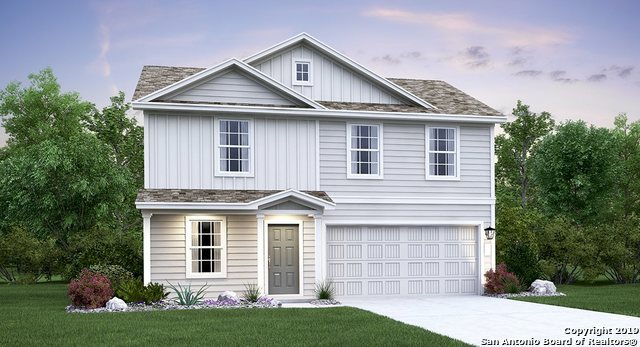 "LENNAR Selsey Beautiful two story home with 4 bedrooms and 2 bath rooms! Kitchen overlooks family room! READY IN AUGUST!" 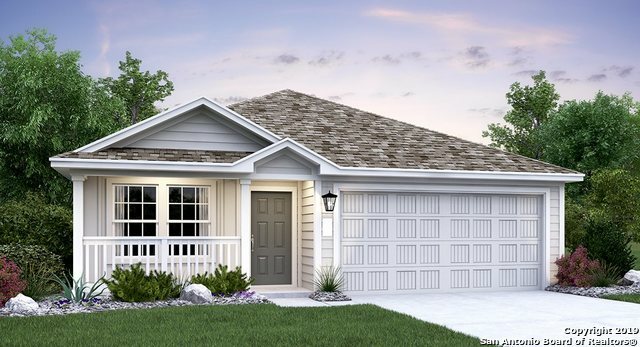 "LENNAR Nettleton Beautiful four bedroom, 2 bath home! Kitchen overlooks family room! READY IN JULY!" "LENNAR Gannes Beautiful three bedroom, 2 bath home! Kitchen overlooks family room! READY IN JULY!" "LENNAR Gannes Beautiful three bedroom, 2 bath home! Kitchen overlooks family room! READY IN AUGUST!"